1. Preheat your oven to 375 degrees. 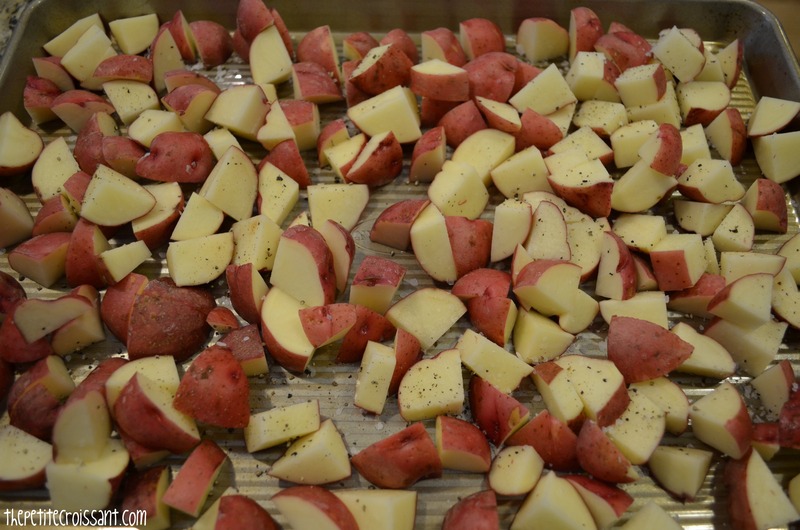 While the oven is heating, wash the potatoes and cut them into quarters. Spread them out on a baking sheet, and sprinkle with salt and pepper. Cook the potatoes for 15 minutes, then move them around with a spatula, and cook for an additional 15 minutes. By the end, you want them to be crispy. 2. While the potatoes are cooking, place the chickpeas on a baking sheet and sprinkle with salt, paprika, and coconut oil. 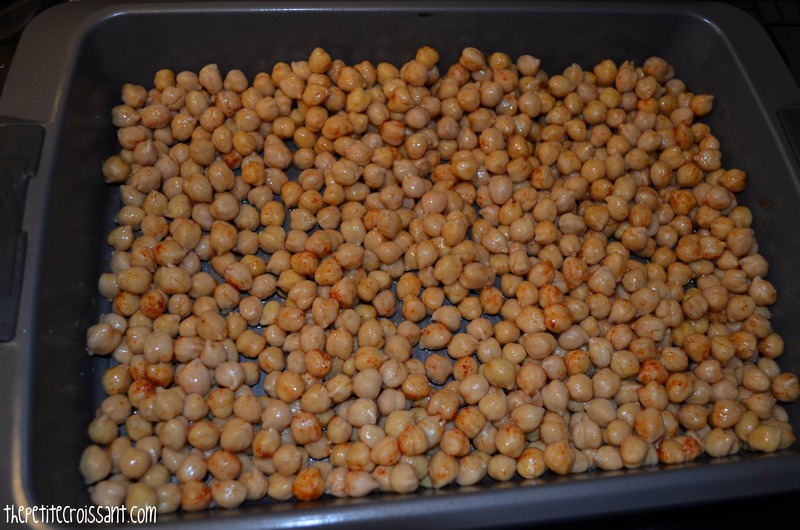 Roll the chickpeas around until they are evenly coated. Cook them for 15 minutes (you can do it at the same time as the potatoes if you like). 3. While the veggies are cooking, prepare the dressing. 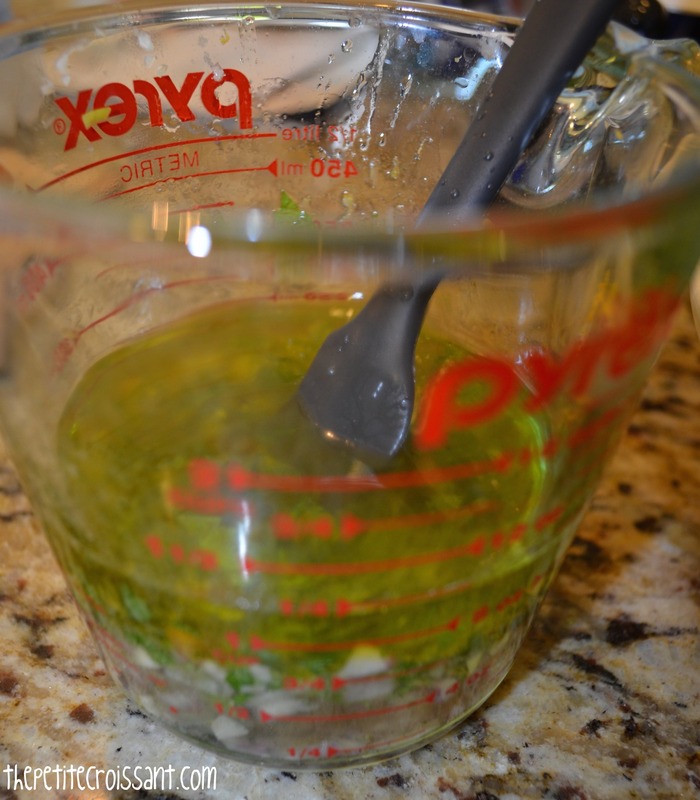 Mix the shallot, lemon juice, garlic, mint, white wine vinegar, and olive oil. 4. Fill a large bowl with a bed of arugula. 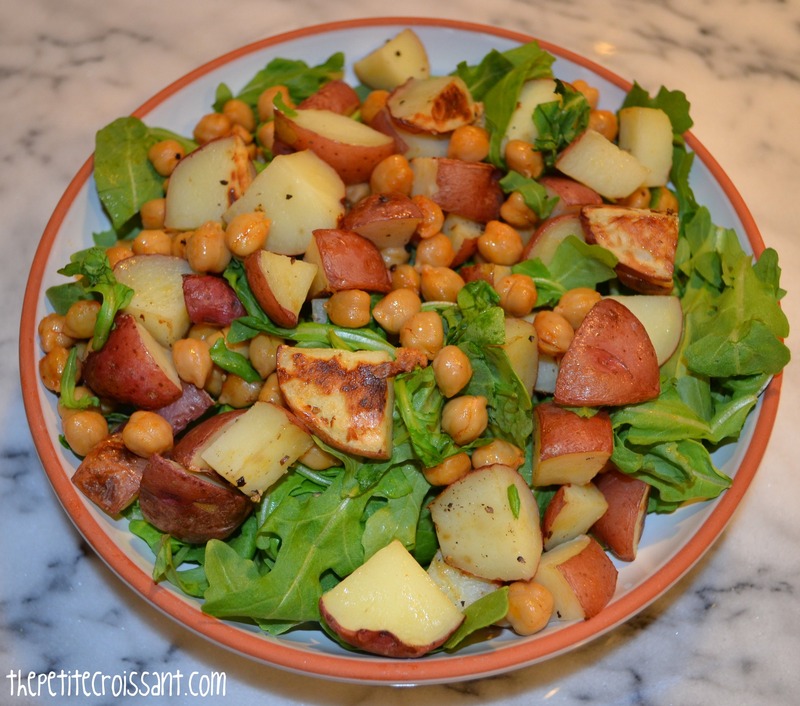 Top with the potatoes and chickpeas and then add the dressing. Serve while the veggies are still warm. This is also great cold as a leftover for lunch the next day!